INTRODUCTION Wood is the most frequently used material for interior and exterior structures because of its natural and aesthetic aspects and its simple processing. The drying of timber at temperatures above the boiling point of water is called high-temperature drying (Hillis 1984; Aydin and Colakoglu 2005). This technique has attracted considerable attention in recent years. The high-temperature drying of wood is an environmentally friendly method that is three to five times faster than warm-air drying (Trebula and Klement 2002). 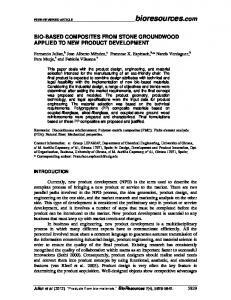 Drying wood at high temperatures (130 to 150 °C) is an effective method to improve the dimensional stability and biological durability of wood (Perré and Degiovanni 1990, 1999). Based on the cited work, it is reasonable to expect that in the high temperature drying of beech the loss of moisture will be directly proportional to the drying time. When the temperature is raised above 100 °C, the drying time will be shortened, with a faster decrease of moisture content. According to Poncsák et al. 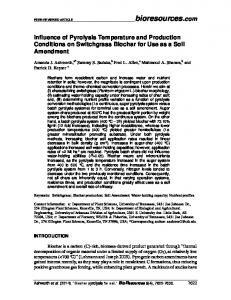 (2006), the influence of temperature is more pronounced at higher moisture content. Drying times are short in comparison to conventional warm-air drying, which is attributable to the high intensity of drying during the removal of bound water (Klement and Marko 2009). 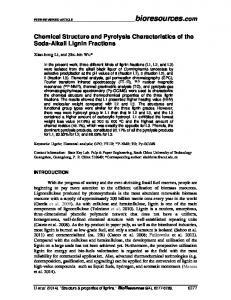 Kollman (1952) reported that high-temperature drying requires 25 to 60% less energy than does normal kiln-drying. This reduction in energy is attributed primarily to better heat transfer to the Klement & Huráková (2016). “Beech high-T drying,” BioResources 11(2), 5424-5434.
wood and less heat loss through the kiln walls because drying time is shortened. The high temperature has a significant influence not only on the discoloration, but also on dimensional stability and mechanical properties of wood. 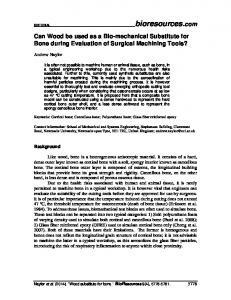 However, the strength and especially toughness therewith is inevitable reduced (Okuyama et al. 1990). 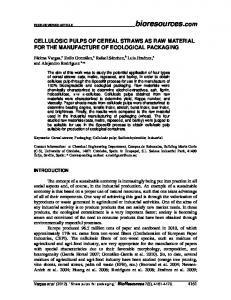 Burmester (1975) concludes that high-temperature drying of wood results in a large reduction in the hemicellulose content, and thus improves the dimensional stability of the wood. Drying fresh hardwoods species can cause some defects (warping, splits, color difference) (Bekhta and Niemz 2003). 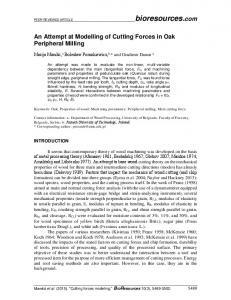 Also, the drying of wood from a moisture content of about 40 to 60% can lead to the occurrence of internal cracks (collapse) and external cracks too (Konopka et al. 2015). Drying temperature is the most important processing factor because it can be responsible for defects in each category (Klement and Huráková 2015). 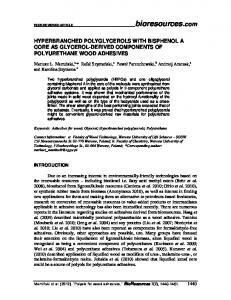 However, hightemperature drying of wood leads to visible changes in the timber, such as discoloration, and lower mechanical properties, such as shear strength (Sehlstedt-Persson 1995; Cividini et al. 2007). Wood color is a particularly important factor to account for when determining the price of wood. 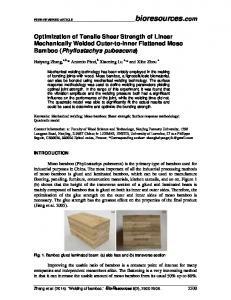 Subsequently, it is important to be familiar with the process of hightemperature drying and the identification of many factors affecting the properties of timber (Remond et al. 2007). 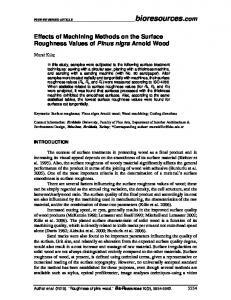 EXPERIMENTAL Materials Wood of beech (Fagus sylvatica L.) was used for experimental measurements. Samples were chosen from beech logs with diameter 40 cm and length 4 m. Beech logs were selected from forests of Technical University in Zvolen in October 2015. The content of the dry kiln consisted of 40 specimens. Test specimens with a thickness of approximately 25 and 32 mm, width of 120 mm, and length 350 mm were produced from two logs with diameters of 550 to 650 mm and lengths of three meters. As illustrated in Fig. 1, the drying mode was divided into four parts. However, only in the third section was a different maximum temperature, of either 130 or 150 °C, used. Klement & Huráková (2016). 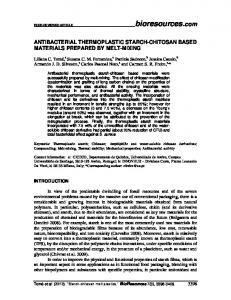 “Beech high-T drying,” BioResources 11(2), 5424-5434. In sections 1 and 2 of the process, the temperature of the surrounding air was maintained at the boiling point of water (100 °C) until the moisture content of the specimens did not fall below the fiber saturation point (sections 1 and 2). Then, the temperature was increased to the maximum value of either 130 or 150 °C (the third section). 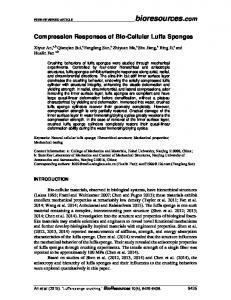 When a final moisture content of 8% to 10 % was achieved on the cross section of the material, the temperature was lowered to the temperature of the surrounding air (section 4). The rate of drying was 3±0.3 m s-1. Methods The process of high-temperature drying was conducted in a laboratory kiln from BINDER company. Electrical spirals were used for heating. The moistening of the air was achieved by saturated steam. Drying parameters such as the temperature of dry and wet bulb and the temperature of the specimen with used Copper and Constantan thermocouples (Fig. 3) were investigated during the experiments. The overall scheme of the laboratory kiln is shown in Fig. 2. Moisture and moisture gradients of the specimens (Fig. 4) were measured once every 3 h during the drying process. Simultaneously, the specimens were weighed and the current moisture was calculated. Cross warping and cracks were determined after the drying process. Klement & Huráková (2016). “Beech high-T drying,” BioResources 11(2), 5424-5434.
where mw is the weight of the moist specimen [g] and m0 is the weight of the absolutely dry specimen [g]. Moisture gradient Specimens for the determination of the moisture gradient were processed as illustrated in Fig. 5.
where f is the maximum curve [mm] and b is the width of lumber [mm]. Cracks Five specimens were randomly selected to evaluate cracks. The quantity, length, and width of cracks were determined at staggered distances of 25 mm from the face (Fig. 7). The measurement was carried out 10 times with using a magnifying glass. Drying curves and the thicknesses of the drying temperature are shown in Fig. 8. In both thicknesses of the specimens and the drying temperature of 130 °C, the final moisture was higher than planned and achieved a value of 12% on average. The drying curves were linear, and therefore the loss of moisture was directly proportional to the drying time. Raising the drying temperature above 100 °C caused the acceleration of moisture loss. In Klement & Huráková (2016). “Beech high-T drying,” BioResources 11(2), 5424-5434.
this respect, the present observations are consistent with those of Poncsák et al. (2006). Compared with specimens of thickness 25 mm, the drying process of the 32-mm-thick specimens was longer, at approximately 3 h. As also shown by Klement and Marko (2009), drying times were short and the water removal process was more intensive in terms of bound water content when drying was carried out at high temperature. Moisture gradients were measured at the beginning and end of drying. Figures 9 and 10 show the comparison of specimen moisture gradients with the same thickness but varied drying temperatures. The moisture gradients of all specimens were positive. When the thickness of the specimens was 32 mm, the measured values were very similar to the values measured using specimens with the thickness of 25 mm. The values of moisture gradients measured at both drying temperatures were higher when the 32 mm specimens were used. At the end of drying, the moisture gradients at both drying temperatures were decreasing (Fig. 11); however, the final values were still large. The final stage of the drying process, based on the average moisture content of the wood, was not optimal. The courses of the temperature of dry bulb (td) and wet bulb (tw) during the drying process and temperature in the centre of the dried specimen and temperature on the surface of the dried specimen were dependent of the time and drying temperature of 130 °C of the specimens with the thickness of 25 mm. Courses of the dry bulb at the drying temperature of 150 °C and a thickness of 32 mm were similar. The process of drying in terms of measured temperatures can be divided into sections. Firstly, the heating from the initial temperature to the temperature of the surrounding air was approximately 100 °C. The length of this section is approximately 2.5 h. The effect of the thickness of the specimens was not considered noticeable in terms of time. Throughout this section, the temperature of the surface of the timber specimen was higher than in the centre, whereas the difference was minimal. The second section is characterized by the temperature of the surrounding air being kept at approximately 100 °C. The length of this section differs depending on the moisture and the thickness of the dried specimens. At a thickness of 25 mm, the time taken was 21 h. At the thickness of 32 mm it was 22 h. The temperatures of the specimens on the surface and in the middle were nearly identical, some differing only by approximately 1 °C. Klement & Huráková (2016). 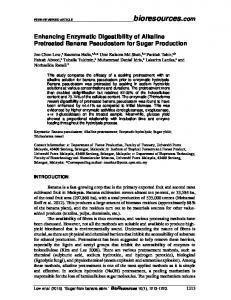 “Beech high-T drying,” BioResources 11(2), 5424-5434. Perré (1990, 1999) regarded high temperature drying as a process that improves the dimensional stability of wood. The changes in the specimen shapes were small. 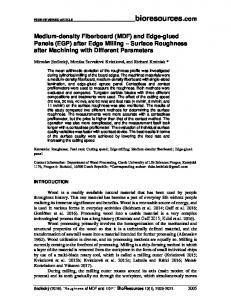 The present work showed that average cross warping was between 1.8% and 2.8% (Table 3). Statistical analysis of the measured values showed that specimen thickness is an essential factor Klement & Huráková (2016). 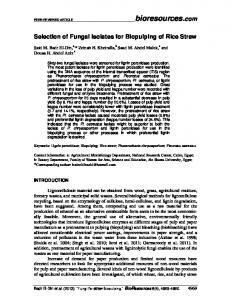 “Beech high-T drying,” BioResources 11(2), 5424-5434. 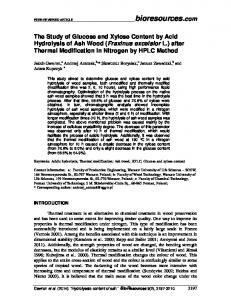 The two-way analysis confirmed the statistically significant effect of temperature. A significant factor was the position of specimens in a stack. The specimens containing more cracks were situated on the periphery of the stack. Specimens placed in the lower part of the stack contained fewer cracks. However, some authors put forward observations that more significant factors for formation defects are the position within a log and the moisture content (Perré and Degiovanni 1990; Bekhta and Niemz 2003; Klement and Huráková 2015). CONCLUSIONS High temperature drying factors were scrutinised in this work relative to a theoretical analysis, which was verified by experimental work (Hillis 1984; Bekhta and Niemz 2003; Klement and Huráková 2015). As a consequence of high-temperature drying, Klement & Huráková (2016). “Beech high-T drying,” BioResources 11(2), 5424-5434.
the drying times were short in comparison to conventional warm-air drying, which can be attributed to the high intensity of drying during the removal of bound water. Results based on the drying times and the drying curves showed that the final drying time is affected by the thickness of the specimens. On the basis of measured results of the two specimens of beech with various thickness and using maximum temperatures of 130 and 150 °C, the conclusions are summarized below: 1. The drying temperature can be regarded as a less significant factor relative to applying high-temperature drying during the preparation of beech-wood lumber. 2. 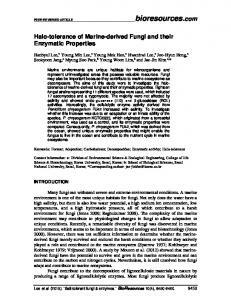 The influence of drying temperature in terms of the thickness of the specimens was considered less significant. 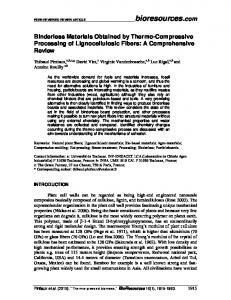 The effect of temperature on the size of the moisture gradient using the specimen with the thickness of 32 mm was not significant. The effect of the thickness on the maximum achieved values of moisture gradients was minimal, but on the final values of moisture gradient it was more significant. 3. The effect of specimen thickness on the cross warping size was statistically significant. 4. 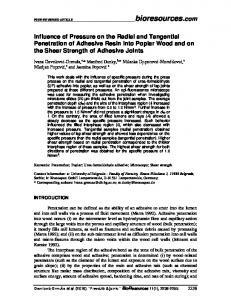 The adverse effects of high temperature drying on the appearance of front cracks could be seen. However, their number did not increase significantly because of the increase of temperature from 130 to 150 °C at both thicknesses. 5. Finally, it can be concluded that the thickness of the dried specimens is a significant factor in the process of high-temperature drying of beech wood at the maximum drying temperature. The drying temperature of 150 °C can be applied only for thicknesses of up to 25 mm. When the thicknesses are greater than 25 mm, the temperature has no significant effect on the length of drying time and has a negative impact on the quality of dried wood. ACKNOWLEDGEMENTS The authors are grateful for the support of the Grant agency of the Slovak Republic, Grant APVV No. 0200-12. 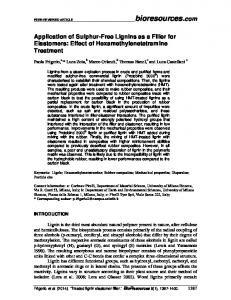 REFERENCES CITED Aydin, I., and Colakoglu, G. (2005). 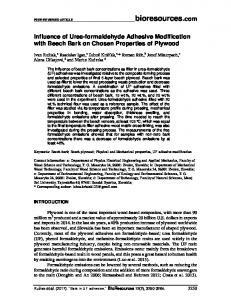 “Effects of surface inactivation, high temperature drying and preservative treatment on surface roughness and colour of alder and beech wood,” Applied Surface Science 252(2), 430-440. 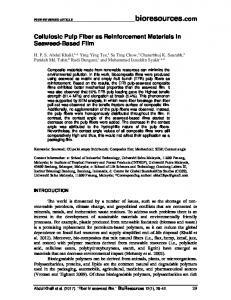 DOI: 10.1016/j.apsusc.2005.01.022 Bekhta, P., and Niemz, P. (2003). 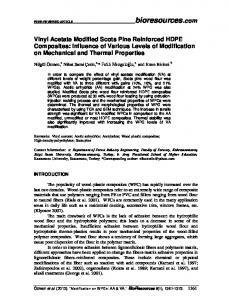 “Effect of high temperature on the change color, dimensional stability and mechanical properties of spruce wood,” Holzforschung 57, 539-546. Burmester, A. (1975). “Zur Dimensionsstabilisierung von Holz,” Holz Roh- Werkst. 33, 333-335. Cividini, R., Travan, L., and Allegretti, O. (2007). “White beech: A tricky problem in drying NARDI,” Srl, Italy, http:// www.ivalsa.cnr.it/ISCHP07/CividiniTravanAllegretti,pdf Klement & Huráková (2016). 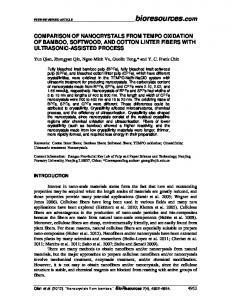 “Beech high-T drying,” BioResources 11(2), 5424-5434.